In recent years, e-commerce has undergone a dramatic shift that makes it difficult for retail buyers and brands to adapt to evolving consumer purchasing patterns. Addressing this paradigm shift is NuORDER. a two-sided platform designed with the needs of both brands and retailers in mind. Connecting wholesale/retail buyers with brands, the platform also allows brands to showcase their products and create personalized offers and marketing campaigns targeted towards retail buyers. Retailers are able to leverage the platform to take orders, discover new brands and products, and review offerings. La TechWatch sat down with CEO and cofounder Olivia Skuza about the origin of the platform, its progress since 2011, its impressive traction, and future plans. Tell us about the product or service NuORDER offers. NuORDER is a cloud and mobile B2B e-commerce platform. The platform has two sides, brand and wholesale/retail buyer, which the platform connects. The brand side provides a merchandising and sales platform for the brand to showcase their products, create personalized offers for specific buyers, and drive demand through marketing campaigns. The platform also enables sales representatives to take orders, approve and edit buyer-submitted orders. On the wholesale buyer side, NuORDER provides a B2C-like e-commerce experience for discovering brands and products, reviewing offers, and placing orders. Both the brand and retail buyer applications are accessible through the web, mobile web, and mobile apps. What inspired you to start NuORDER? 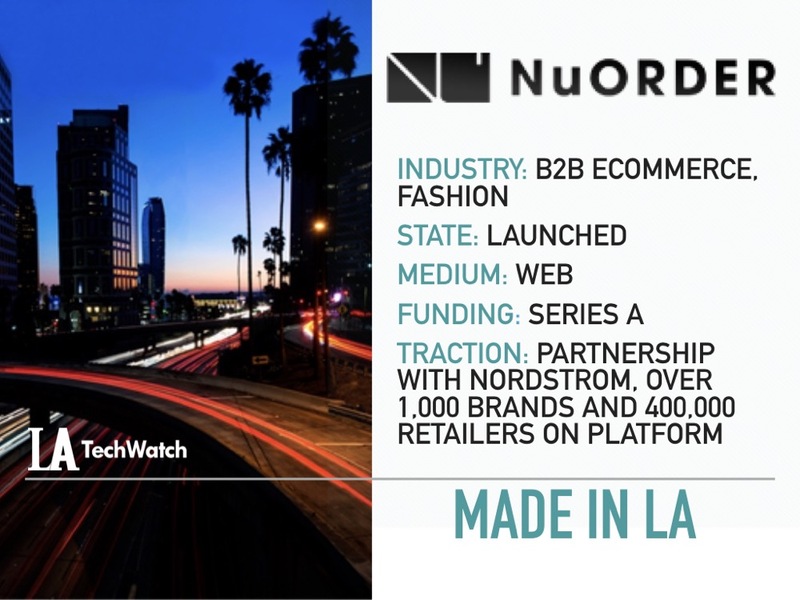 In 2010, we were running a digital agency in Los Angeles for premium fashion brands when we came up with the idea for NuORDER. We were witnessing firsthand the dramatic shifts in B2C e-commerce, and the resulting experiences and benefits retailers were delivering to their customers. We saw how antiquated and broken processes were hindering sales and hurting the businesses of both brands and retail buyers and knew we could provide them with a better solution. We founded NuORDER in 2011 to fill this unmet need. Since then, we’ve secured multiple rounds of funding, partnered with Nordstrom, built our customer base to over 1,000 brands and 400,000 retailers and created new features to enhance the workflows between brands, wholesale buyers and retailers. Unlike other wholesale platforms, our platform is two-sided, which allows it to benefit both brands and retailers. Brands and wholesale/retail buyers can connect and transact on our platform, and each side has unique capabilities for the user. The brand side provides a merchandising and sales platform for the brand to showcase their products, created personalized offers for specific wholesale and retail buyers and drive demand through marketing campaigns. The platform also enables sales reps to take orders, approve and edit buyer-submitted orders. 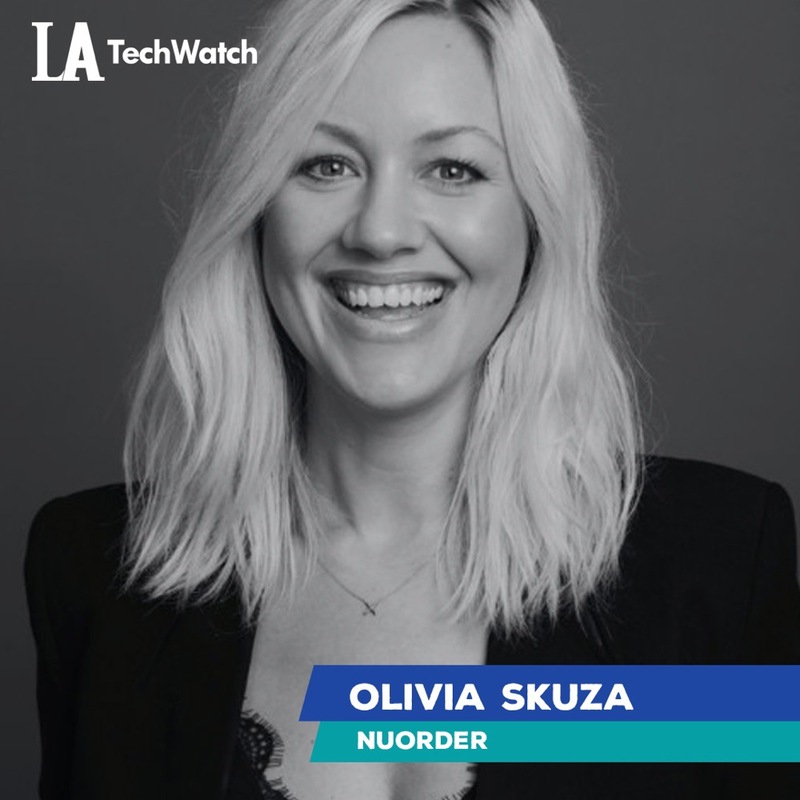 On the wholesale and retail buyer side, NuORDER provides a B2C-like e-commerce experience for discovering brands and products, reviewing offers, and placing orders. This dual-functionality and connectivity are key differentiators for NuORDER. What market is NuORDER targeting and how big is it? The B2B wholesale e-commerce industry is ready for market disruption and NuORDER is poised to target and transform it. According to Forrester, by 2021, US B2B e-commerce sales are projected to reach $1.18T, with more than $3B being spent globally on B2B e-commerce platform technologies. We have invested heavily and built a leading product that has been adopted by the most reputable brands and retailers in the world. The B2B wholesale e0commerce industry is ready for market disruption and NuORDER is poised to target and transform it. According to Forrester, by 2021, US B2B e-commerce sales are projected to reach $1.18T, with more than $3B being spent globally on B2B e-commerce platform technologies. We have invested heavily and built a leading product that has been adopted by the most reputable brands and retailers in the world. Moving B2B sales online has had a direct impact on our customers’ bottom line, selling more products, reaching more buyers with less time and money, and revolutionizing their wholesale strategy. What trends do you foresee for e-commerce for 2019? As retailers have become more strategic in today’s shifting landscape, brands are working to strengthen their relationships with retail partners. In 2019, we predict that B2B e-commerce will continue to grow as a primary focus for brands. Technology has already begun serving as a tool to strengthen relationships, and we expect this to continue as well. For example, brands are collecting and sharing real-time data and analytics on sales and ordering, helping inform the buying decisions of their retail partners. We expect to see an increased focus on leveraging technology to improve processes between brands and buyers, and a continuation of these mutually-beneficial relationships rather than the strictly transactional relationships of the past. The NuORDER platform charges brands an annual fee. Subscription fees are tied to the breadth, depth, and velocity of the brand’s wholesale business. In the next 6 months and beyond, we look forward to nurturing our new growth, partnerships, and relationships. We plan to identify new and innovative ways our technology can disrupt and innovate B2B wholesale e-commerce and streamline and modernize the wholesale buying process for more brands and retailers. We understand that in today’s world streamlined, mobile, discoverable and paperless capabilities are key, and in the near term, we plan to meet and exceed the standard user experience. What advice can you offer companies in Los Angeles that are raising? My advice to companies working to secure financing is to always have your elevator pitch ready and be open to new opportunities wherever you go because you never know who you’ll bump into. One day we were working out of a Dunkin Donuts, the closest place with free WiFi. While sitting there, we accidentally ran into David Tisch, the now famous Seed investor from New York. David understood the problem within the wholesale industry we were solving with NuORDER, and immediately began making calls and sending emails to potential investors. He also helped us structure our pitch in a way that better resonated with investors. Within one month of that chance encounter, we had closed our initial Series A with Upfront Ventures (Southern California’s largest venture fund).